The POA is on Wednesday holding a national march and rally to protest against conditions in the UK’s jails. The union is also campaigning for a retirement age of 60 and for the nationalisation of prisons so they are not run for private profit. The march will form up from 10.30am at the Trafalgar Square end of Whitehall, before setting off at 11am along Whitehall past Downing Street towards the House of Parliament and on to the Methodist Central Hall, where the rally is planned to start at 12.30pm. Members are being asked to lobby their MPs in the Houses of Parliament in the afternoon. 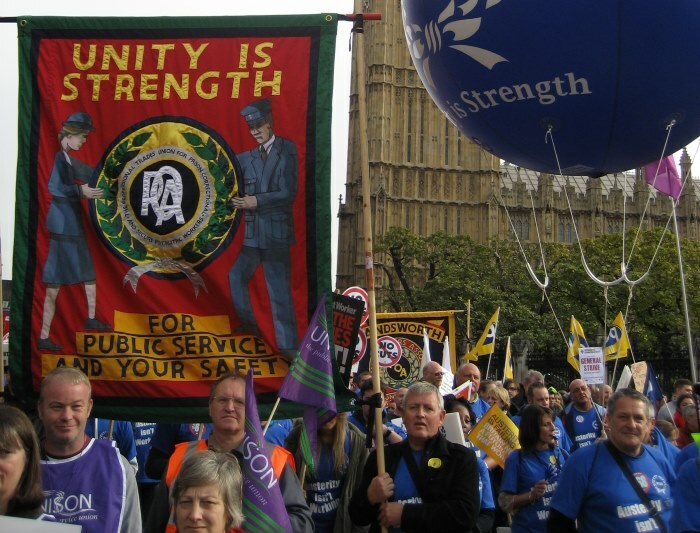 POA general secretary Steve Gillan said: “A lot has changed politically since we last marched through Westminster in 2014, but the crisis in our prisons has only become worse. “The loss of at least 70,000 years of officer experience has led to ever-increasing violence, with assaults against staff both at a record high and rising at record rates. “Although the government now admits it wasa mistake to slash officer numbers so drastically – and has launched a desperate recruitment drive – the damage has already been done. The MoJ has suffered the greatest budget cuts of any department since 2010, and it is hard to see how the prison service can recover without a return of the funds stolen from it in the name of austerity. “The sinister shadow of privatisation has grown too, with new prisons in Wellingborough and Glen Parva set to be built with public money and thengifted to the private sector to profit from. By not allowing HMPPS to even bid for the new prisons, this government has shown it’s not interested in any evidence that the public sector can run prisons better. “Let’s be very clear – this is an ideological decision driven by an obsession with privatising public services. Official figures show that private prisons are disproportionately more violent and overcrowded than public prisons, and the POA will continue to fight against the austerity and privatisation agenda on behalf of our members.